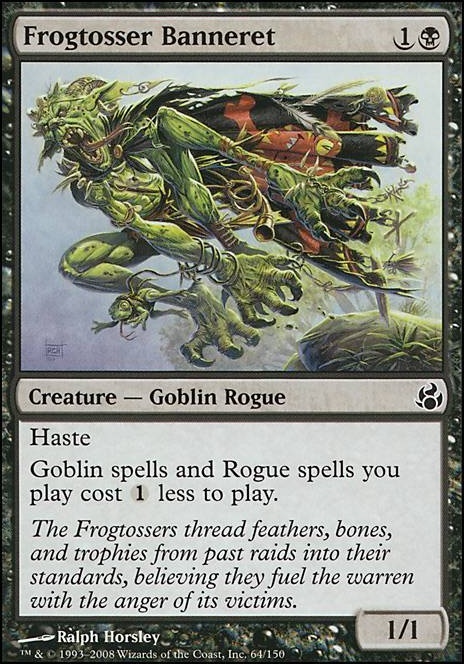 Goblin spells and Rogue spells you play cost (1) less to play. You want to use square brackets to link cards, not curly brackets. No, unfortunately. Unclaimed Territory only allows you to use the colored mana it produces for creature spells of the chosen type. While Thieves' Fortune has a creature type, it isn't a creature spell. To be a creature spell, it must have "Creature" on the type line. 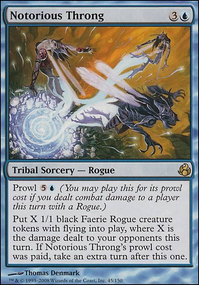 However, if something cares about a "Rogue spell," and doesn't specify "Creature," then Thieves' Fortune counts. Frogtosser Banneret discounts Rogue spells, which would include Thieves' Fortune. Looks pretty cool. 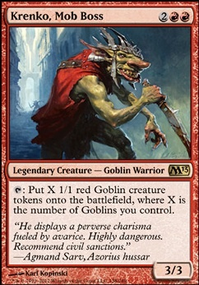 If you are trying to maintain a lower budget but love the goblins rakdos goblins are pretty good too.you get things like Warren Weirding Fodder Launch Frogtosser Banneret Spike Jester and many many more, look into if you thinj you might like it. Apostle's Blessing might be a solid sideboard card, and I dont know for sure but Infernal Plunge seems like a good fit in here. 2 last things, Tarfire Boggart Shenanigans are both good too. Invisible Stalker is a powerhouse in a deck like this. Cloak and Dagger is also really good. Morsel Theft is strong, so is Nameless Inversion Frogtosser Banneret and Ego Erasure is great sideboard hate for slivers, humans, basically any tribe. @shrapnel: food chain goblins is not as good as any other combo deck as it cannot win within a reasonabe amount of time. Ancient Tomb is risky as it does not allow turn 1 Goblin Lackey, and functions the same if playing for turn 1 Aether Vial. No need to run Frogtosser Banneret if you have 4 warchiefs. 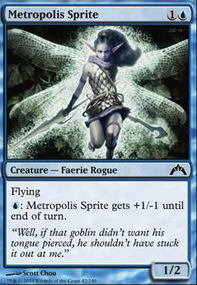 Goblin Tunneler is cute, winmore, slow, and not needed (cannot be used on turn 2 make lackey unblockable). Fodder Launch < Dismember, both are uneeded. While vial is a turn slower, it makes your goblins "not Force of Will targets", which is key. I agree with your comment about wort.